With an enormous amount of pride we would like to introduce to you our album Szikra!! 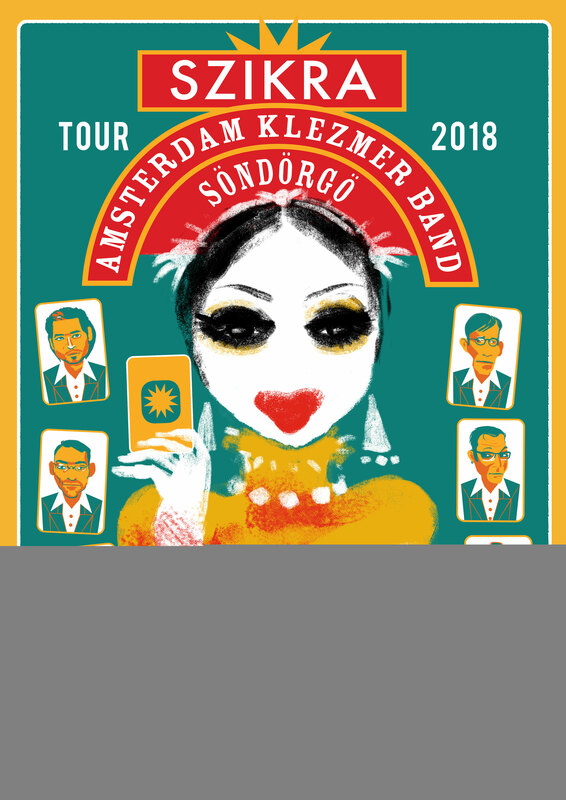 Amsterdam Klezmer Band plus Söndörgő​ makes for a totally new sound, let’s call it a Balkan BigBand Orchestra Adventure Fusion Sound Experience for now, but be sure it’s even much more than that, so do have a listen to this album and find out for yourself! Oh, and if you can, come see us play the music live, you don’t want to miss that! Also, check out the documentary that was made about this project. It’s better than tv! 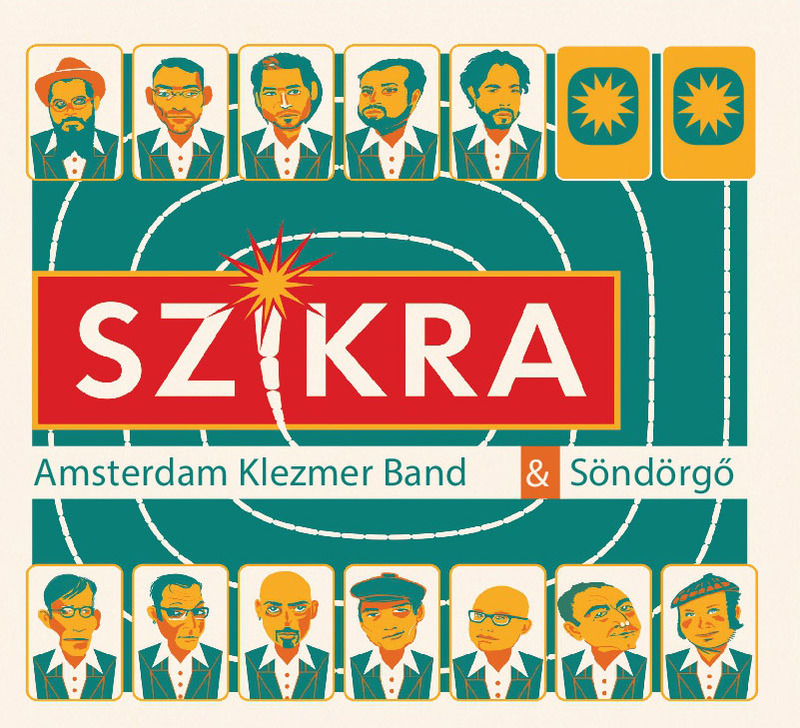 Amsterdam Klezmer Band & Söndörgő in an epic story about friendship, music and lots of coffee! In celebration of our new album ‘Szikra’, we’ll be touring with our friends in Söndörgő. All over the world AKB shows end up in spontaneous dance parties. The new musical theatre performance Septacost offers you more than just that. The band cleverly plays with the expectations of the audience in a virtuoso appearance that balances between melancholy and euphoria. Curious? Check the aftermovie of our show in Theater de Meervaart here.